We’ve been to Sofia a couple of times now and we love it. At a glance, the city may appear to be in a state of disrepair. Many buildings require re-plastering and repainting and the pavements are peppered with potholes. The architecture displays the tell-tale brutalism of a former soviet state but this isn’t to say that there aren’t more unique and beautiful buildings planted around. Sofia is flat. There’s hardly a slope to be found in the city centre. However, as you negotiate the streets you’ll constantly find yourself peering between buildings to catch a glimpse of snow-capped mountains in the distance. Depending on your preference for heat, we would recommend the spring/summer time. The weather is warm and dry in spring and Sofia has a multitude of amazing parks that are erupting into life around this time. The city parks are great and full of wonderful sights such as the Palace of Culture, the National Opera, sculptures, war memorials, old men playing chess and much more. If, however, you’re more interested in skiing than sculptures, a short taxi ride will take you to the mountains where you can ski, mountain bike, rock climb, paraglide or simply walk and take in the incredible views. Sofia is a fairly easy city to get around. Taxis are plentiful and cheap, buses are also cheap and frequent but (as mentioned in the Plovdiv snapshot) don’t forget to validate your ticket! We didn’t try cycling in Sofia, instead we mostly walked. This being said, there are not many cycle lanes to be seen and as a result, not too many cyclists either. An absolute highlight from out last trip to Sofia was the communist walking tour, check out their blog via the link below. Vasil, our guide was fantastic, energetic, knowledgeable and friendly. He brought the history of the city to life and we loved every minute of the tour. Top tip: The 365 Sofia Tour company run free 45 minute city tours. These can be a great way to get your bearings and will also will get you a discount on any of the other fantastic tours that they offer. 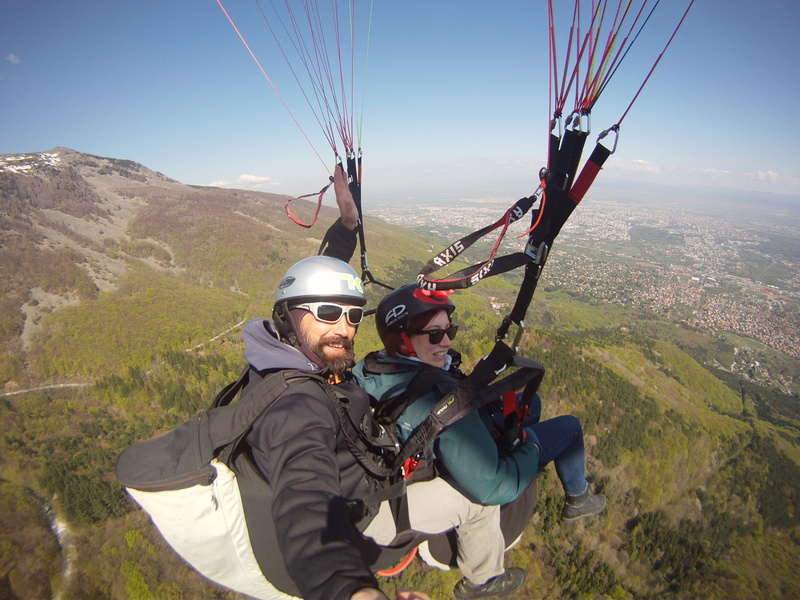 The proximity to mountains means that there is also a wide array of more extreme activities to get involved in and so we booked ourselves in for paragliding. This is extremely good fun, albeit slightly nerve wracking to begin with. For those that suffer from travel sickness, you’ll probably be fine but if you can take some sea sickness pills first, do. JJ’s Bar: Modern and stylish, JJ’s bar has a great selection of cocktails and beers. But, what keeps us going back is their Gin and Tonic with Rose. Simply the best G&T we’ve ever tried, this is the most drink that you can have after a day wandering the city. Caldo Bar & Lounge: Offering an enormous selection of whiskies and cigars, you can try tasting platters and expand your spirit horizons while relaxing in a soft wing back arm chair or perched on a stool at the window people watching. Hambara: Hidden away and lit only with candles this bar is recommended for the unusual tavern atmosphere more than the drinks. 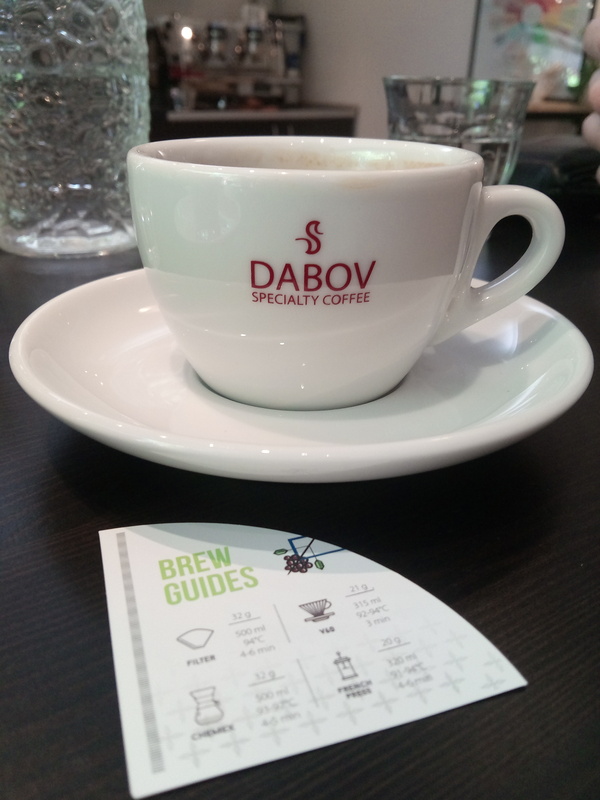 Dabov Specialty Coffee: If you just need a pick me up during the day, call in for a coffee. This is one of the best coffees you’ll ever have and the staff are friendly and welcoming. There is so much good food in Sofia. This came as a total surprise to us the first time we visited but it really is a foodie’s paradise. Sun & Moon: There are a couple of these about in the city. They offer high quality, fresh, vegetarian food. The food ranges from Italian to Mexican so there really is something for everyone. We love it. Soul Kitchen: We went here for Rachel’s birthday dinner and the food was brilliant. Again, the food is fresh and vegan and isn’t restricted to the cuisine of a particular country so call in and feast (I’d recommend the Sunrise Noodles as they were excellent). Hadjidraganov’s House: For traditional Bulgarian food, check this out! The food here is gorgeous. The array of different dishes available is amazing and choosing your dinner might take a while but this is a must try if you’re in the city. We are planning to go skying to Bulgaria, do you think is a good idea? Hi, yes we went with Skycamp and they were great!